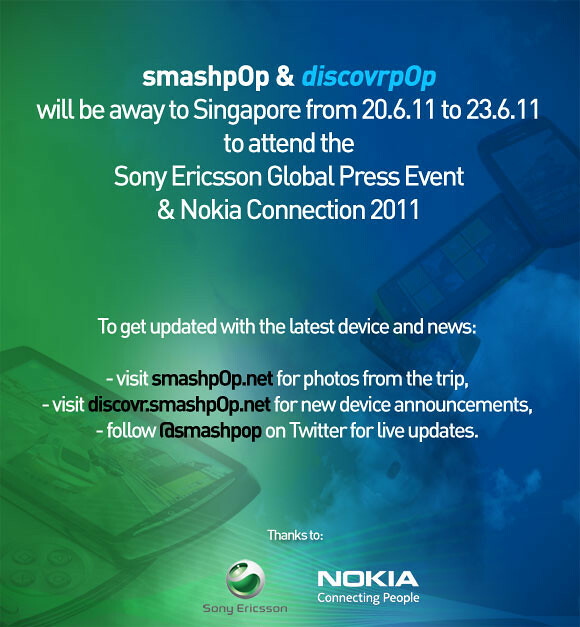 We Will Be At Nokia Connection’11 & Sony Ericsson Press Event! Stay Tuned For Live Updates. – http://discovr.smashpop.net for new device announcements. – @smashpop on Twitter for live updates.